The girls from the Sant Romà rowing club don’t row, they glide. Because that’s how the Lloretencs like to say it. 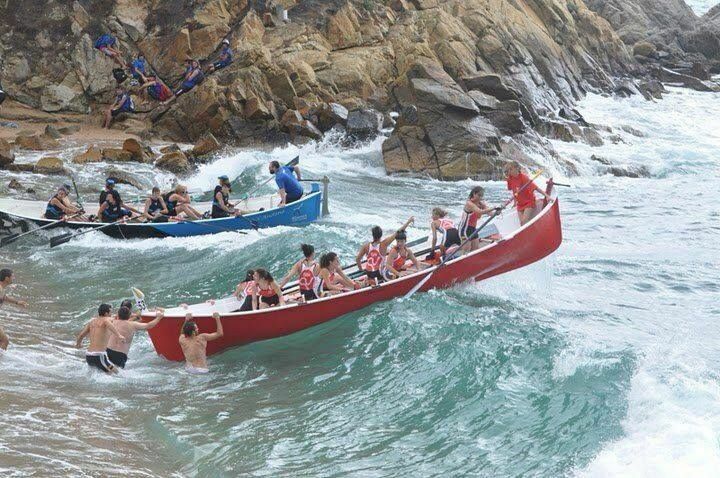 Rowing is one of Lloret de Mar’s traditions that is least-known by visitors and, at the same time, the oldest. Rowing is way of living in harmony with the sea and its exceptional natural setting. 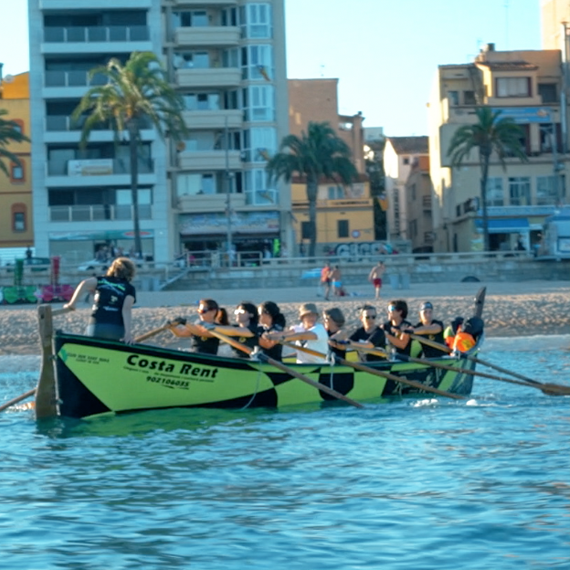 The rowers of the Sant Romà rowing club practice recreational rowing and for them, it’s much more than just a sport: it’s a passion that is rooted in the city and its people. With each stroke of the oar, the Sant Romà rowers have learned more about themselves and about one another; they say that rowing has made them better people and better friends… But one thing is for sure: together they have been able to discover wonderful landscapes and places, and they have helped to keep a centuries-old tradition alive in the city that they love. One day in 1998, a group of brave women decided to form an association with the name Es Vano. 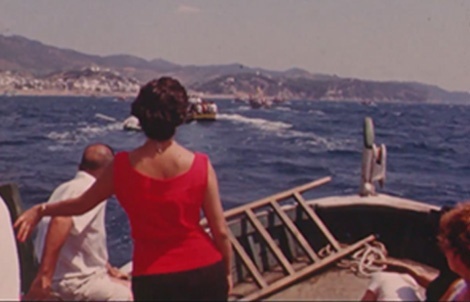 Its objective, which was revolutionary at the time, was to participate in the revival of one of the most beautiful traditions that was part of Lloret de Mar’s Santa Cristina Festival: the Llaguts regatta. It was no easy ride. They invested a lot of time and economic resources at the expense of their work, rest and family life. Finally, all of their efforts paid off and they managed to be the first female team with eight boats in total. Es Vano became a reference and more and more women began to join the different rowing entities. The boat s’Amorra amorra regatta is celebrated every year on July 24th during the town’s main festival on Santa Cristina Beach. 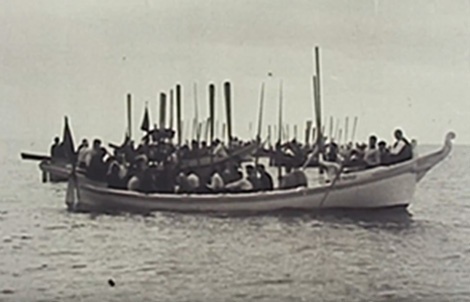 It is a seafaring tradition from the 19th century that uses a popular regatta to replicate the competition that was held between fishermen of the time, who rowed with all their strength in order to bring the boat to the sand before anyone else and thus be the first to reach the platform where they could sell their fish. “S´amorra amorra” is a direct expression in the Catalan language that comes from Girona’s coast. Fishermen use it to refer to the action of bringing the boat in from the sea and grounding it in the sand. A “llagut” is a rowing boat manned by 8 rowers plus the helmsman. Lloret de Mar is one the epicentres of rowing in Catalonia. There are up to 7 different clubs in the village, most of whose rowing activity is focused on the town’s recreational regatta, except for Santa Cristina and Pescadors that, as federated clubs, participate in other competitions in all different categories.